BLaST IU 17 recently partnered with Pennsylvania College of Technology to host its first annual Transition Conference at Klump Academic Center on the Penn College campus. This event was open to high school students with special needs and disabilities in 10th-12th grades, parents and community agency supporters. The conference provided breakout sessions in the areas of postsecondary transition: education and training, employment and independent living. In addition, postsecondary transition vendors were on site to answer any questions about the services they offer. “With any transition in life, there can be feelings of anxiety and uncertainness. 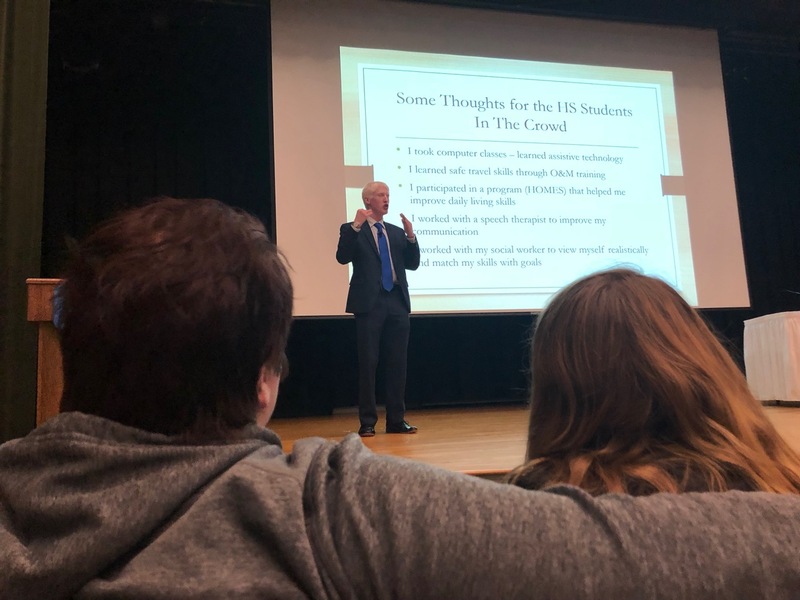 The transition from school to the adult world is no different and we partnered with many local community agencies to educate and help ease some of these feelings for students with disabilities in our region,” shared Jeffrey Pelly, Transition Consultant for BLaST. “Helen Keller once said, ‘Alone we can do so little; together we can do so much.’ The Transition Conference truly was a team effort! We wanted to create an amazing event that provided students with the tools and information necessary to assist them in transitioning to adulthood. I think we accomplished that andso much more!” said Kay Dunkleberger, Director of Disability Services. Adam Blank was the keynote speaker for the event. Adam is a gifted motivational speaker with challenges of visual impairment, albinism and autism who shared his inspiring story. His message of being bullied and overcoming has gained him recognition throughout the state of Pennsylvania and moved all in attendance. You can learn more about Adam by visiting https://bit.ly/2GvIRNj. 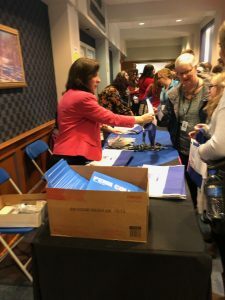 “We are very appreciative of all of our community agency partners and to the Pennsylvania College of Technology for hosting the 2019 transition conference. This has been an awesome day for our students, their families, and our community agency partners. Many thanks to our various sponsors for bringing Adam Blank to the area-he is an amazing role model for all individuals with disabilities. We are already looking forward to the 2020 transition conference!” said Amy Wolfhope-Briggs, Director of Student Services for BLaST IU 17.